High quality early childhood education is one of the best investments we can make in our country. I support fully funded Pre-K programs for students starting at age 3. Our children need STEM education, removal of standardized tests to measure success, and the opportunity to succeed. I support fully funded early childhood programs, and funding for Special Olympics education programs. Give teachers the tools they need for success - higher wages, high quality technology, administrative support. Eliminate high stakes testing, and instead, measure student success by improved literacy skills. If a student cannot read, they cannot pass high stakes tests. In America, every child deserves a chance to succeed. Educating the citizenry of a nation pays dividends in the long run, with the economy getting back much more than is initially put in. Crushing student debt for higher education would no longer burden young men and women trying to improve their lives through hard work. We should strive to have the best education system in the world. Higher education is a great equalizer and a pathway to a better life. A college degree serves as insurance to a better life, and financial security. We need debt free college with federal partnership with the states for two and four year colleges that guarantees that the total cost is no more than what working and middle class students can pay working part time. The United States should catch up to every other modern nation and implement a single-payer, medicare-for-all system. There’s no reason we can’t be #1 in the world instead of #37. It’s time to end the destruction of American healthcare by rapacious, price gouging, for-profit, private health insurance middlemen. In talking with seniors, they are paying a tremendous amount for prescription drugs, and must decide between purchasing needed medicines to maintain their quality of life, and other necessities, such as groceries. Child care is one of the most largest expenses in a family budget. In Texas, single parents pay 36% of their income, for an infant, at a child care center. A single parent with 2 children, pays 64% of their income on center-based child care. This does not leave much for food and housing. We need to support our working families with affordable high-quality child care. We must make investment if families are to have access to high-quality child care. Over 65% of women with children under the age of 6, are in the labor force. Research shows that access to affordable high quality child care for women, allow them to remain in the work place, thereby reducing the gender gap. In Texas, over 1 million households are headed by women, with 31% having incomes that fall below the poverty level. Federal policies must make significant investments if families are to have access to child care and early education opportunities that enable parents to work. Families come first. Money in politics has halted legislative progress on a myriad of issues that are important to the American people. Two particularly relevant issues are campaign finance and political lobbying. Large sums of money are thrown at candidates from wealthy individuals and corporations in order to elevate career politicians to a place where it’s extremely difficult from them to be challenged. The marriage between money and politics doesn’t stop there, as the wealthy individuals and corporate interests who bankrolled the campaigns of establishment politicians expect an open ear when lobbying them to cater to their interests in office. The Citizens United Supreme Court decision further exacerbated this problem by allowing super PACs to spend unlimited sums of money on the candidates of their choosing. This decision must be reversed by a Constitutional amendment that gives the federal government and states more control over campaign finance, and ceases to consider corporate money the same as speech. We must also maximize transparency in political contributions by passing legislation that requires wealthy donors to disclose who they. have contributed money. It's time to end our for-profit criminal justice system by ending prison labor, private prisons and detention centers, cash bail systems, and all the other ways our criminal justice system profits off the vulnerable. Decriminalize marijuana and reinvest in communities most affected by the drug war, which destroyed communities, and systematically destroyed communities of color. Our system promotes mass incarceration and over policing, rather than investments in public safety. The bread and butter of this type of system, are people of color and people who have low incomes. We need to fix our broken immigration system and provide undocumented immigrants with a path to citizenship. The push for DREAMers to become American citizens must not stop. DREAMers are not bargaining chips. It is time to bring people together, and not continue to tear families apart. The greatness of our nation comes from we the people. America was founded upon a revolutionary dream of freedom and justice for all. This promise brought forth a creation unseen in history, a people of many peoples, a nation of all nations, a land for people from all lands. We will not give up the fight for the hope of America. We want an America, as good as its promise, as stated by the Honorable Barbara Jordan. The establishment of community veterans engagement boards, which provides for the support of veterans through coordination, and integration, with non-veteran organizations, is my vision to bring to each county. In addition, once in the House, I aspire to be a member of the House Committee on Veteran Affairs, (the only Texas representative is Beto O'Rourke, who will be moving to the Senate, once elected in the November election! ), so that we continue to have a Texas representative, and a strong advocate for veterans. The conversation with our veterans will not stop, while I am seeking office, or when I am in in the House. Town halls, with our veterans, will continue to be a focus for me. When I heard a veteran share, "I will fight for my country, and I need my country fighting for me. ", I heard him. We need a national system of paid family and Medicare leave. Paid time to care is the norm in nearly every country except the United States. As a result, millions of workers must choose between the income they rely, and caring for a loved one in a time of need. I support HR947, FAMILY Act, which would help working people take care of their new children, care for their loved ones, and their own serious health conditions. It is important that we protect our communities and stem the epidemic of gun deaths, and end gun violence. We need to address the root causes of gun violence, and not just the symptoms. I support - universal background checks, extreme risk protection order, funding National Instant Criminal Background System (NICS), research of gun violence, responsible gun ownership. No one should face insurmountable financial hardship to get an education. The increase in student debt over the past years is one of the most staggering phenomena in the U. S. economy. The debt crisis has reached 1.5 Trillion dollars. We rely on bridges, roads, airports, and transit; sewer and water systems; safe and well maintained schools; libraries, and energy to power them all. The modernization of our infrastructure is necessary, so we can be better equipped for population growth and ferocious weather conditions. The protection of the Gulf Coast is vital to the energy and economic security of the entire country. The current minimum wage denies workers the ability to take care of, and support their families. In the richest country in the world, the minimum wage of $7.25 has not changed since 2009. And if you are a tipped worker, it is $2.13. We need policies that lift up the working people, let's start by providing livable wages. In 2017, 39.7 million people in America were poor, which equates to 12.3% of the population, or 1 in 8. Poverty is more common in African Americans, and based on the federal guideline, a single person making $1,060 per month, is not considered poor. These guidelines will need to be revisited to determine the true poverty level in America. The average monthly Social Security benefit is $1,413 which is just above the federal poverty guideline. As a Representative, I will oppose cuts to Social Security. Being older should not equate to being broke in this country. These are supposed to be the golden years, not days fraught with worry, and choosing between paying for prescription medications or food. When seniors must file for bankruptcy, they do not have the years in front of them to get back on their feet. 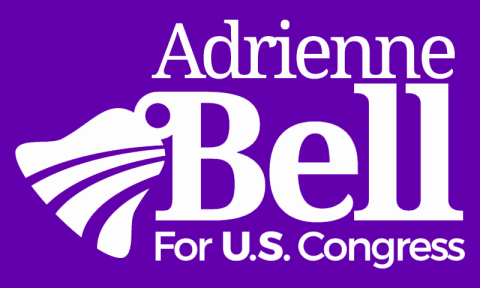 I am committed to MedicareForAll, protecting Social Security, and fighting for policies that aid our seniors.